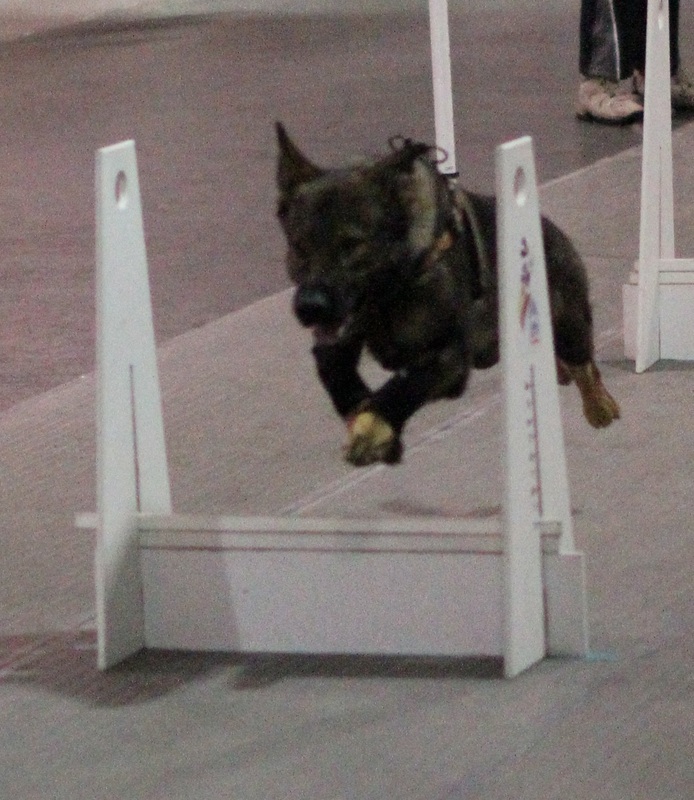 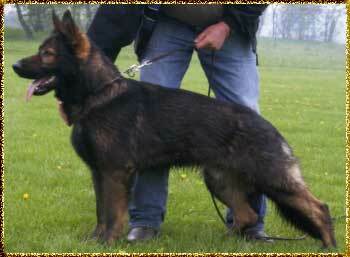 Berlin is a medium size sable male from West German and East German/DDR lines. 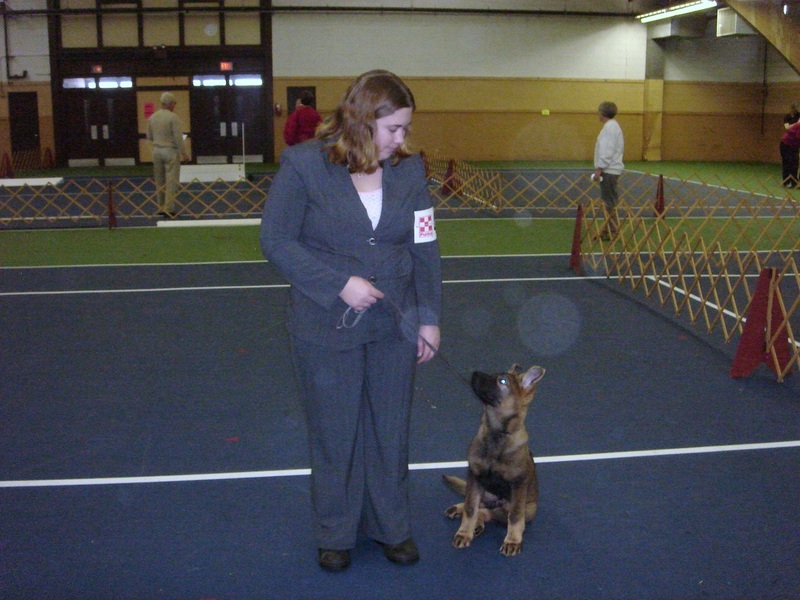 He has good substance, a large blocky head, dark pigment, and moderate angulation. 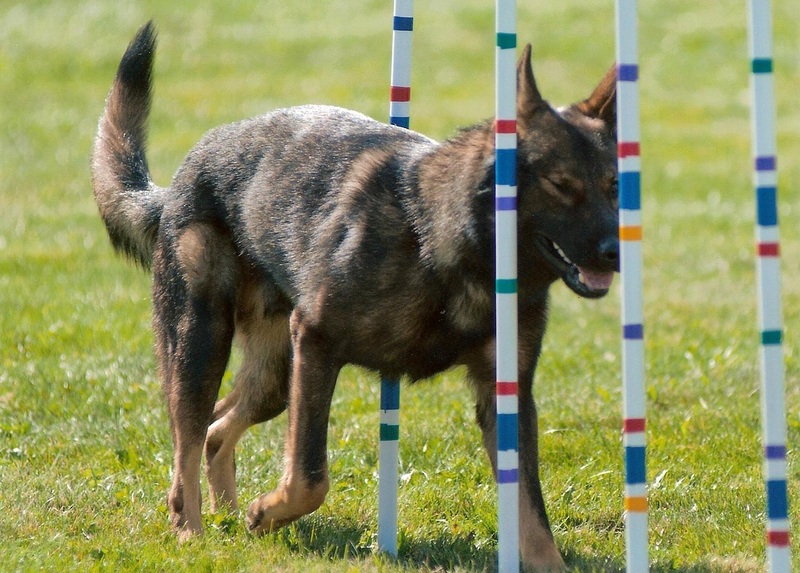 Average weight is an athletic 85# and height at the shoulders is 25.25" He is highly driven for dog sports and completely able to settle in the house. 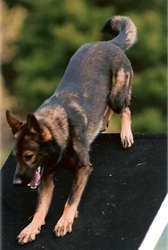 Berlin has an exceptional temperament, is social in public yet naturally protective of his home and family. 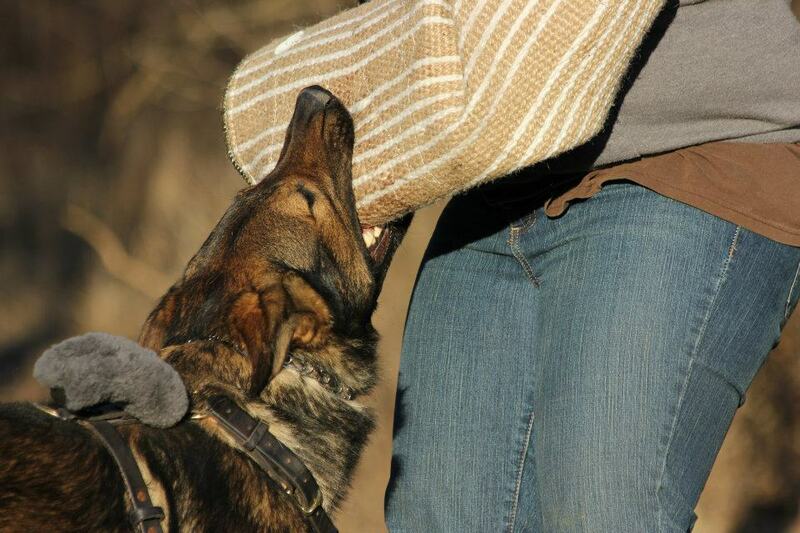 He also shows strong natural tracking and herding abilities. While Berlin spends most of his time being an active family companion playing with his Jolly Ball and traveling cross-country to visit National Parks and charming everybody he meets along the way, he has also trained and trialed in Agiliy, Barn Hunt, Conformation, Dock Diving, Flyball, Lure Coursing, Obedience/Rally, Schutzhund and Tracking. 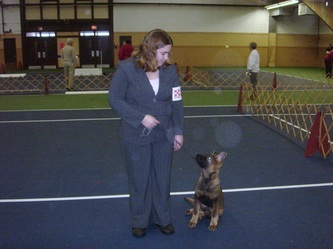 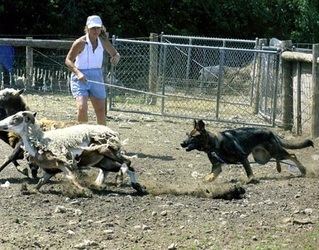 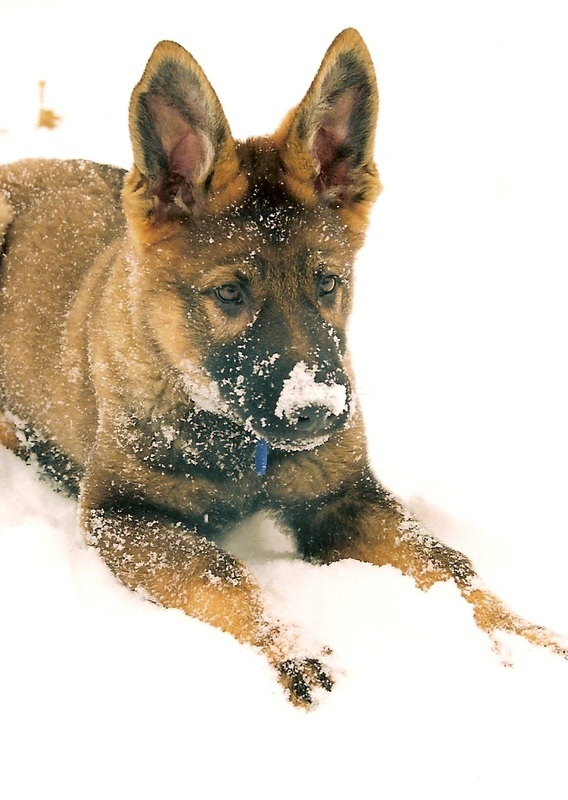 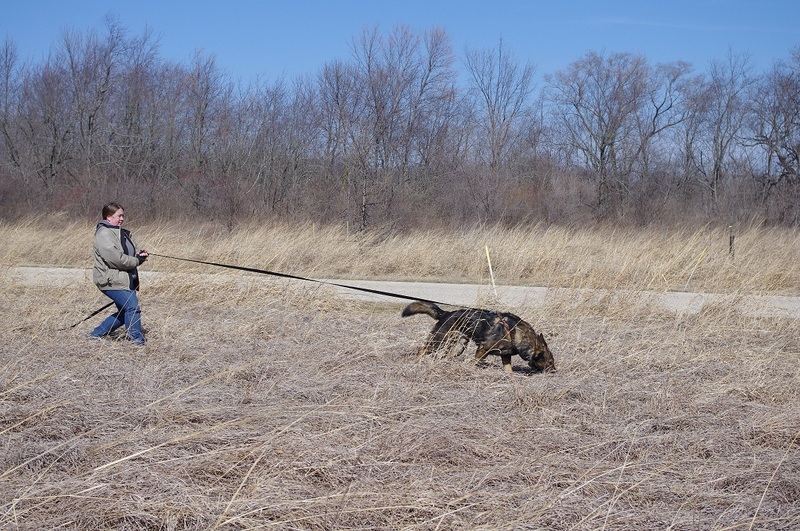 Berlin was bred by Melinda Clark at vom Gildaf German Shepherds in Wisconsin.